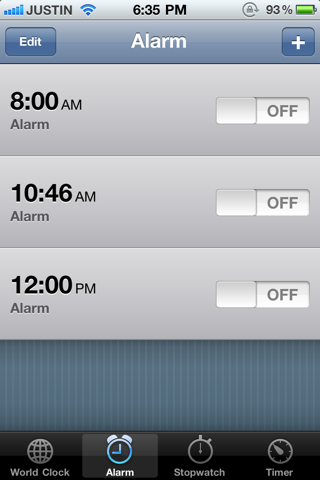 Due to an iPhone glitch, the clock app will not wake you up the day after day lights savings (tomorrow). Apple has said that the bug is fixed in iOS 4.2 but it is not yet released to the public. It is suggested that you create a new one-time alarm and it will be fixed. The bug seems to only affects certain repeating alarms.